Are the self-employed preparing for retirement? Most of the country's self-employed - all 15 million of them, according to figures from the Bureau of Labor Statistics - would be the first to tell you that being your own boss requires a tremendous amount of financial planning. In addition to establishing a reliable customer base, quality product or service and the resources to get a company off the ground, small-business owners have to go into the start-up process confident that their returns will be larger than their losses. For millions of Americans, their calculated risks have paid off - literally and figuratively. But are they are taking the same kinds of measures to prepare for retirement? It depends on who you ask, but for the most part, those taking conscious efforts are in the distinct minority, according to the results of a newly released survey. Only slightly more than 1 in 3 self-employed individuals in the U.S. routinely puts money away to save for retirement, according to a recent poll conducted by the Transamerica Center for Retirement Studies. Though that's well short of a majority, U.S.-based self-employed workers are readying themselves more than their global peers, with only 33 percent of respondents in other parts of the world attesting to retirement planning. At the very least, most of the country's self-employed have a retirement strategy in place, implementing it after seeking out retirement advice. Nearly two-thirds - 63 percent - of self-employed respondents to the TCRS survey said they have a retirement game plan, compared to 60 percent of their global counterparts. 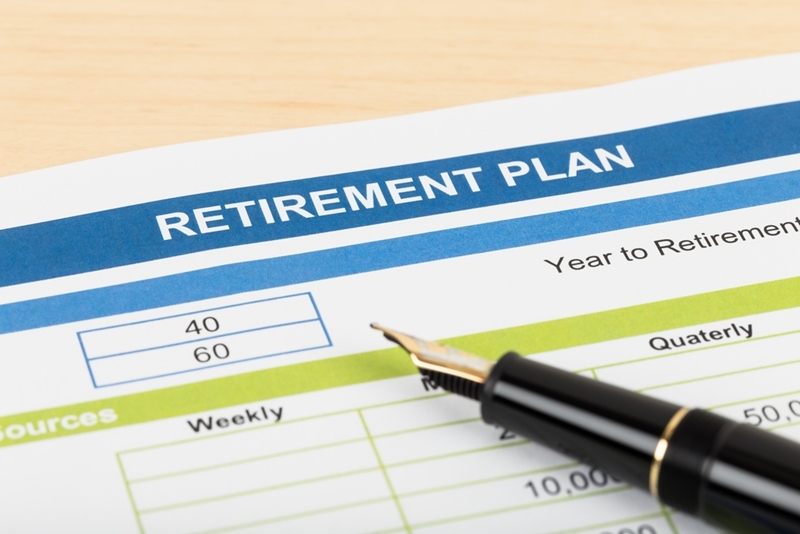 Only 1 in 5 of the country's self-employed have a retirement plan on paper. However, what they often don't have is a "Plan B," one that they could turn to if their favored formula falls through. Less than 40 percent said they had a backup plan all set up, which could fill in the gaps if worst came to worst. Catherine Collinson, TCRS president, noted that being one's own boss can often be a double-edged sword because they have a high degree of autonomy but that independence can leave them without a safety net if they're not properly prepared. "For the self-employed, saving and planning for retirement requires a do-it-yourself approach," Collinson explained. "Without an employer, the self-employed lack the employer-sponsored retirement benefits that many workers enjoy. Often, self-employed workers have irregular incomes, which makes it more difficult to save on a regular basis." This may explain why many of the country's self-employed have no intentions of entering the post-career world. In a recent poll conducted by Gallup, over half of small-business owners - 53 percent - indicated they don't intend to retire from their business. That's down slightly from 2014, when 55 percent said they expect to keep their company up and running for as long as their physically capable of doing so. But that's cold comfort for the self-employed who do desire to call it quits from their business eventually. Collinson noted that these people have to roll up their sleeves and get to work. "The self-employed have greater flexibility in terms of their approach to work, leisure and retirement," Collinson stipulated. "[But] achieving long-term financial security requires a rigorous approach to saving and planning." A financially self-sustaining retirement isn't a one-and-done deal. In other words, few people are able to get by solely on the money they've saved or earned from a solitary source, like a 401(k), inheritance or Social Security. It's a conglomeration of savings and income products that bridges the gap. If you have a client who owns his or her business and is contemplating eventual retirement, the first plan of attack is figuring out how much they'll need. Global Financial Distributors has a handy retirement planning calculator so you and your client can crunch the numbers. For more information on tools that can help your client prepare for life in the post working world, speak with GFD Financial Services manager.